Leaders in the consolidation of Scott County emergency dispatch and record-keeping claim a number of benefits: that it has been and will be a good deal for taxpayers; that it has resulted in better interdepartmental communications between emergency responders; and that it will eventually reduce the amount of time between when an emergency call is made and when appropriate personnel are dispatched. But is it, as originally advertised, saving money? The answer to that question depends on how you look at it, but for property owners in Scott County, the bottom line is that their tax rates are higher as a direct and indirect result of the consolidation. The Scott County overall tax-levy rate rose by 90 cents per $1,000 of valuation in Fiscal Year 2011, as the levy for emergency management rose from 5 cents to $1.05 - nearly all of which is funding consolidated emergency dispatch. Scott County dropped its levy rate outside of emergency management, and Davenport and Bettendorf have also lowered their property-tax rates, but the net financial effect of consolidation has been property-tax rates that are anywhere from 65 cents to 90 cents higher depending on where one lives. And while administrators involved in the consolidation offer justifications for costs that grew far beyond initial estimates, it's hard to see how the project over the long haul can meet a key projection of the study that got this ball rolling: more than $4 million in cost savings to taxpayers. This article explores the issue of cost, and how and why cost savings are unlikely to become reality. A May 2006 study by CTA Communications - commissioned by the Bi-State Regional Commission at a cost of $102,000 - offered two primary benefits to consolidation. The first was a better emergency-response system : "A shared communications center, with proper implementation, offers significant service improvements to all of the participants. ... The service level provided to all of the citizens of Scott County will be equal to or better than the highest levels provided now. The goal must be the creation of an efficient, customer-friendly organization." The second benefit was savings: "CTA Communications estimates that full consolidation will result in total savings in the cost of dispatch of $4,651,320 over the 20-year estimated life of the project compared to the current expenditures." The December 2007 intergovernmental agreement that formed the SECC reinforces that notion: "The parties believe SECC will reduce overall costs to the individual agencies by reducing management costs, reducing employment competition, providing more flexible and efficient use of staff, and provid[ing] for more efficient use of technology. ... The parties believe costs can [also] be reduced by the joint purchase of radios and equipment by SECC ... ."
It further states that "all decisions by the SECC Board of Directors, Technical Advisory Committee, and SECC Director shall be guided by the 2006 Consolidation Study [by CTA Communications] and 2007 Radio Study." 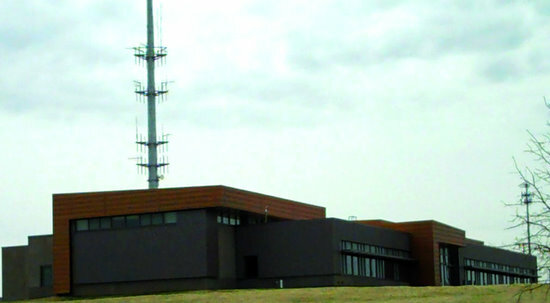 Despite that mandate, administrators involved in the SECC are quick to dismiss the CTA Communications study as a mere guideline, and to cite all the costs that weren't factored into its estimates: new portable radios, an emergency-management center that became part of the SECC building in Davenport, and centralized warrants. They note $6 million in grants that helped offset what grew to $28 million in capital costs. Yet it's important to stress that the consolidation project was sold in large part on cost savings. And when the board of Medic EMS and the elected officials of Davenport, Bettendorf, and Scott County approved the intergovernmental agreement, those savings were a critical component; two of the four articulated reasons for consolidation were cost-related. So it is true that the scope and cost of the project ballooned beyond the consolidation recommended by CTA Communications, and therefore what was explicitly authorized in the 2007 intergovernmental agreement that gave birth to the SECC. But despite efforts to downplay the CTA study, its findings were the premise and starting point for the entire consolidation enterprise, and it remains a valuable and instructive document for evaluating the overall project costs. At its core, the CTA report projects savings of more than $4.6 million over 20 years for the full consolidation that happened. It actually estimated costs over 21 years, totaling $126.0 million - an average of $6 million a year. That included a first-year budget of $8.28 million, dropping to $3.98 million the second year, rising to $4.41 million the third year, and then rising roughly $200,000 a year - to a 21st-year cost of $7.94 million. Adding in the estimated savings would mean dispatching costs of more than $130.6 million without consolidation, according to CTA. The savings represent 3.56 percent of projected costs without consolidation. The study includes debt-service payments of $360,000 a year - totaling $7.56 million over the 21 years. It also includes capital costs of $4.43 million in the first year, and then capital costs of $295,000 each year for years three through 21 - for a total of just over $10 million. The SECC relied on bond funding greater than that in CTA's breakdown of annual costs - with actual bond proceeds of $10.1 million in Fiscal Year 2010 and $7.5 million in 2011 - so the study expected higher up-front costs. The SECC is spreading those costs out. CTA also did not include the cost of new radios in its projections. (It recommended a study to look at the issue.) Those cost almost $7 million. Still, it's possible to illuminate whether cost savings articulated by CTA are likely to happen. The SECC's current fiscal-year budget is $7.19 million. That includes debt service of $665,000, and there's an additional $915,000 for SECC equipment bonds elsewhere in the county budget. Expense-wise, this is basically the second budget year for SECC operations, and roughly $16 million has been spent. If the SECC spends an average of $5.79 million for the next 19 years, the project would have the same 21-year cost as full consolidation as estimated by CTA. If one adds the cost of radios to the CTA estimate - which the study expected but did not include as an expense - the SECC could meet the projection with an average budget of $6.16 million for the next 19 years. To meet the CTA estimate for costs without consolidation, the SECC would need to spend an average of $6.03 million for 19 years. Adding the cost of radios to the CTA no-consolidation estimate, the average SECC budget moving forward would need to be $6.40 million. Put simply, SECC spending would need to be drastically reduced from its current level over an extended period of time to meet even the no-consolidation costs that CTA projected. If, on the other hand, the current SECC spending level remains the same for the next 19 years, the SECC would spend more than $152 million over 21 years - $22 million more than the projected cost of no consolidation, and $15 million more than the no-consolidation cost plus radios. And scaled-back or even stable spending is unlikely if the proposed $7.35-million SECC budget for Fiscal Year 2012-13 is any indication. So if taxpayers want to see the cost benefits CTA projected, they'll need to keep a close eye on the SECC board. The board produces a budget, which is then approved "without modification" (according to the founding intergovernmental agreement) by the Emergency Management Agency (EMA) board. The Scott County Board of Supervisors (again according to the founding intergovernmental agreement) "shall approve a countywide special levy ... to fund said budget for the next fiscal year as part of its annual budget adoption." This explicitly states that the EMA board has no say on the SECC budget, and it implies that supervisors' hands are tied, as well. So keeping the SECC budget in check requires pressure on its five-member board: the chair of Scott County Board of Supervisors, the mayors of Davenport, Bettendorf, and another Scott County city (presently Eldridge), and the chair of the Medic EMS board. To understand why it's unlikely the SECC will meet CTA's cost-saving projections, it's useful to look at specifics. Consider these differences between the CTA study and reality. · CTA estimated 48 full-time equivalents (FTEs) for consolidated dispatch and administration, noting that the unconsolidated dispatching required 58.5. Excluding two warrant-clerk positions outside the scope of CTA's study, the SECC's current budget allows for 55.5 FTEs. 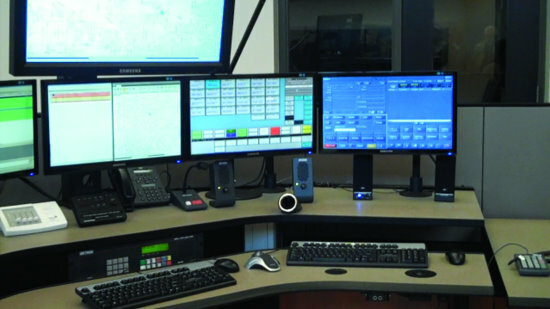 · CTA anticipated 43 FTEs for dispatchers and shift supervisors alone. The SECC's budget allows for 48. · First- and second-year personnel costs were estimated by CTA at $3.15 million and $3.27 million, respectively. The current SECC budget allows for $4.31 million. (That includes two warrant clerks not anticipated by CTA.) By CTA's estimates, personnel expenses would have first exceeded $4.31 million in the 10th year post-consolidation. · CTA said a 7,800-square-foot stand-alone facility would be adequate for emergency dispatching, administration, and equipment. It further said that an additional 1,500 to 2,000 square feet would be adequate for an emergency-operations center. And centralized warrants could be added in 750 to 800 square feet. The total square footage for all those functions comes to 10,050 to 10,600. The SECC building is 27,000 square feet. · CTA estimated a 7,800-square-foot building could be constructed for $2.34 million. The much-larger SECC building cost $7.31 million. · CTA said a suitable computer-aided dispatching and record-management system would cost $1.03 million. The software, chosen through a competitive-bidding process, cost $2.7 million. These illustrate the disconnect between the CTA study and actual expenses, and they underscore why cost savings are unlikely to happen; both capital and key annual operating expenses are higher than those in the CTA study. Administrators involved in the SECC gave several examples of how they've been good stewards of taxpayer money. SECC Director Brian Hitchcock noted that through a functional architectural analysis, the design of the SECC building was reduced from 36,000 square feet to 27,000. And because of the recession, bids for the building came in lower than expected. The schematic design for the building (by Wold Architects) was approved by the SECC board in February 2009, with an estimated cost of $10.8 million. Hitchcock added that CTA underestimated space needs. He said that a consolidation he oversaw in McHenry County, Illinois, was a smaller operation and still required more than 7,000 square feet. "Whoever put that report together, did they actually do a consolidation before that?" he asked. James Dye was project manager for the CTA Communications study and is now the vice president of AECOM (the company CTA became part of) overseeing 911-services consulting. He said last week that he didn't recall specifics of the 2006 document but that the Iowa Quad Cities area was not his company's first consolidation study. AECOM has now done 31 consolidation studies, he said, but the Quad Cities "probably was early in our career." Dye said space and cost estimates were based on previous studies and consolidations. But he acknowledged that the goal of the study was to "create a conceptual guideline." Each component of the consolidation, he said, required additional study and refinement beyond the CTA recommendations. "We're trying to give people a concept or an idea," he said. He also said that cost is something that must be addressed in a study, but it's not the driving force; better service is the primary goal. He downplayed cost savings projected in the CTA Communications report, saying: "We may have expressed the idea of cost savings." As for personnel, the SECC is obviously closer to the no-consolidation staffing numbers than CTA's. Hitchcock said there won't be a smaller number of dispatchers through consolidation. That's a function of both previous under-staffing at dispatch centers - which the CTA study addresses - and increased call volume. "Davenport was understaffed for the number of calls," Bruemmer said. "This is balancing it out. The other thing is you're going to have dispatchers not needing a lot of overtime hours and holdovers. So you're going to get optimum personnel usage." "The numbers are probably the same," said Bettendorf City Administrator Decker Ploehn, also a nonvoting member of the SECC board. "Our ability to sustain that number [without having to add dispatching positions] for a longer period of time is happening with this." "We'll be able to answer more calls and cover more territory with better situational awareness than we ever would be able to separately," said Davenport City Administrator Craig Malin, another nonvoting member of the SECC board. Bruemmer added that the pay scale is lower for dispatchers under Scott County than it was under the cities. "That ... benefits the taxpayer," she said. Benefits to Taxpayers? Or Benefits to Cities? The argument that consolidated dispatch "benefits the taxpayer" in a broad sense is largely intuitive. "I can't conceive how four stand-alone operations could potentially be as efficient over the long haul as a centralized operation," Malin said. "That's a standard business strategy to consolidate your expenses and optimize all your resources. That's what's going on here. I cannot conceive that over 10 years or 20 years that this will cost more money. It's unfathomable." Bruemmer added: "The operation, clearly." That's an important distinction. On a personnel and efficiency level, it's certainly possible - likely, even - that SECC will fare better than the previous situation of four separate dispatching centers and staffs. But the capital costs also have to be figured in. When asked about the CTA estimate of $4.6 million in savings over 20 years, Bruemmer said, "I don't think we've recomputed that number. ... That study was a guideline, and it did steer us to the 28E [intergovernmental agreement] and the consolidation." In other words, rather than passing the entirety of dispatching savings to taxpayers through a lower property-tax rate, Bettendorf and Davenport have increased spending in other areas. Ploehn said that if his city hadn't shifted 50 additional cents of its property-tax rate to debt service for new capital projects, it could have lowered its property-tax rate by 75 cents. But lower municipal property-tax rates must be considered in concert with the county's property-tax rate, which was 90 cents higher in Fiscal Year 2011 than in 2010 - all attributable to a $1 increase in the special emergency-management tax-levy rate. Even if Bettendorf, for example, had used its entire dispatching savings for property-tax relief, residents would still be paying 15 cents more per $1,000 of assessed valuation. So in the most basic sense, consolidated dispatch hasn't paid any short-term financial dividends to taxpayers. And again: Unless the SECC budget is significantly reduced, there will be no financial dividends to taxpayers. Cities, however, are another matter. And here it helps to return to the CTA study, which articulates the funding mechanism for SECC and a crucial appeal: It lets cities shift dispatching expenses to the county, which can then fund them through a special tax levy that's not subject to caps. So while cities and school districts, for instance, are limited in what they can spend by caps on property taxes, the SECC has no such constraint. "The Iowa Legislature severely impacted the ability of cities, such as Davenport, to raise revenue through taxes," the study explains. "It set a cap of $8.10 per $1,000 of assessed valuation and rolled back the assessed value to be a greatly reduced percentage of the actual value of residence." As a solution, the study offers this: "The County Board of Supervisors has the ability to create a 'Local Emergency Management Fund' and fund it through a special levy. That levy is not subject to any of the caps on taxes. The local emergency-management fund could be used to fund the costs of the consolidated dispatch if the dispatch were part of the Emergency Management Agency." This might help explain why cost savings aren't being realized, and how the project grew beyond its initial scope. CTA said there was money to be saved, but that's unlikely to happen when consolidation is designed, in part, to help cities circumvent property-tax caps.